Here we see that we do not get swash letters in the ePub. After editing the ePub and adding a span for each letter with some CSS. 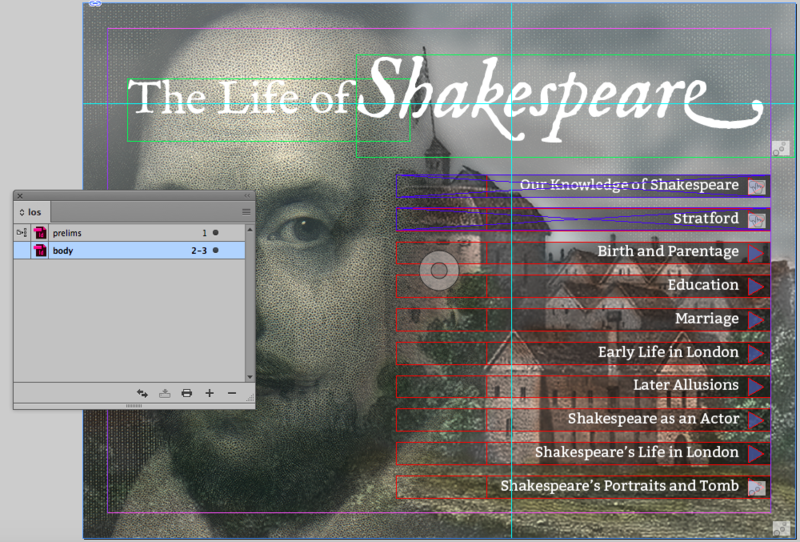 I am using InDesign to build a fixed-layout eBook and I want some alternate swashes in the text. Although you can add swash alternates to an opentype font in InDesign these won’t get pushed into the fixed layout ePub . You might expect to be able to select individual letters within the word and then add CSS through the style ‘export tagging’. Unfortunately this does not seem to work at all in the latest version of InDesign. This does involve some editing of the HTML as well as the CSS, so beware that you will break the ‘round trip’ to InDesign. In other words, only do this at your final stage. Yes, I know. Complex is it not? 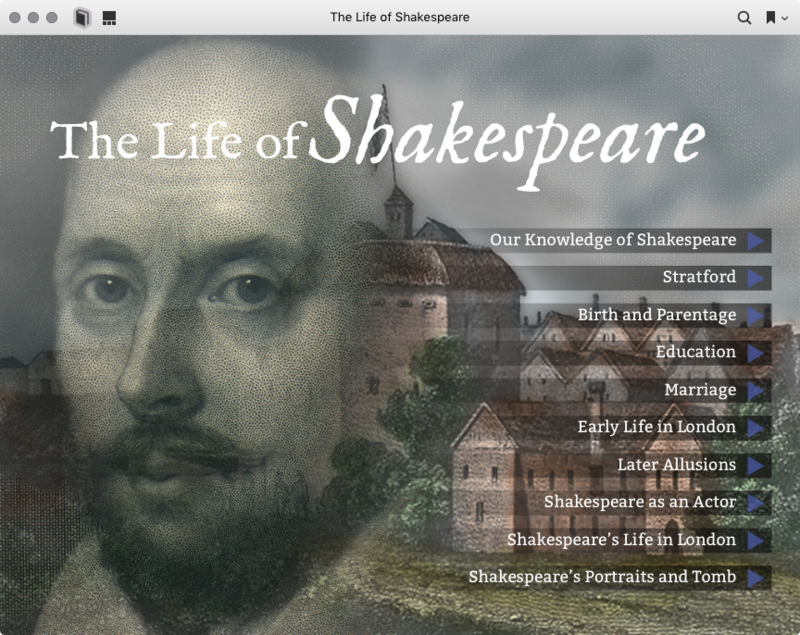 You will see that the word ’Shakespeare’ is enclosed in a span tag with inline CSS for styling. I have gone for the ‘k’ and the last ‘e’. You can edit the CSS that InDesign produces, but I prefer to create my own CSS which I add at export time. You can see in the images here that we don't achieve these swashes until we post-edit the ePub after export from InDesign. The font that I am using here is the revival FELL font created by Igino Marini.